We are extending our spring half day special trout trips through April. March brown hatches have been very strong this year and nymphing tactics have also been bringing fish to hand. The recent moderate amounts of precipitation have kept the river at an optimal level for the past week, making for excellent early season conditions. Water levels and temperatures are on a very good trend and fishing is likely to get even better during the coming week. Each Spring we are reminded of how fortunate we are to have the Lower McKenzie within such close proximity to the Eugene area. 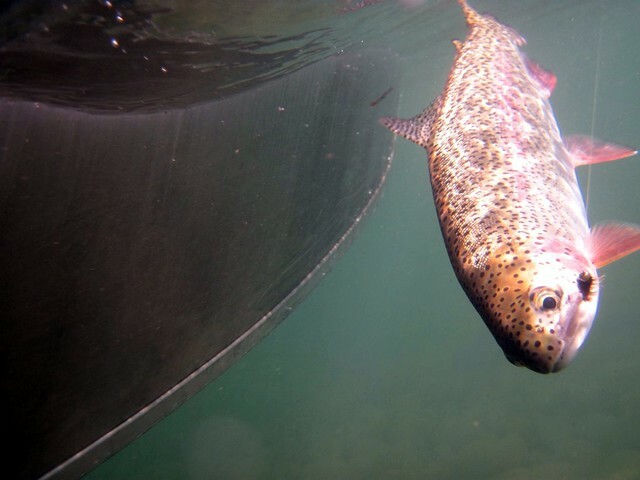 When conditions align, there is potential for exceptional trout fishing. If you would like to experience the what the Lower River has to offer, take advantage of our half day special. The special includes 5-6 hours of fishing, and all tackle is provided. Anglers need only to bring lunch and beverages. The price for this “best part of the day half day” is $375 for one or two anglers.